I think I’ve mentioned about 80 billion times lately that we’re in the process of buying a new house. You guys, to say that I’m excited about this place in an understatement; I am absolutely DYING to show you guys our new home! But you know what? Even more than that I am ecstatic about decorating our house and really making it our own. Ever since last November when I attended my first Havertys Fashion Workshop I’ve been dreaming of ways to not only make our house beautiful, but also functional. We work, parent, play and entertain in our home, so having a place that is inviting is ideal. Nate and I are hard at work figuring out the most important things we need moving into this home (like 40+ lightbulbs! ), and we thought it was a really great move to revisit some of the things that I learned in the workshop last year. The specific class I was at was focused on decorating with holiday entertaining in mind, but I found that there were so many fantastic tips that apply to year-round living. Entryway: So many entryways these days are fairly small and short, so emphasizing the space that IS available is a great way to make it seem larger. A great mirror will help increase the light in the space, making it appear larger. Stacking art on the wall will make the space seem taller, or a great buffet table can make it seem wider. Living Area: Having a sectional with several pieces gives the option to configure sitting space to what you need for your guests. 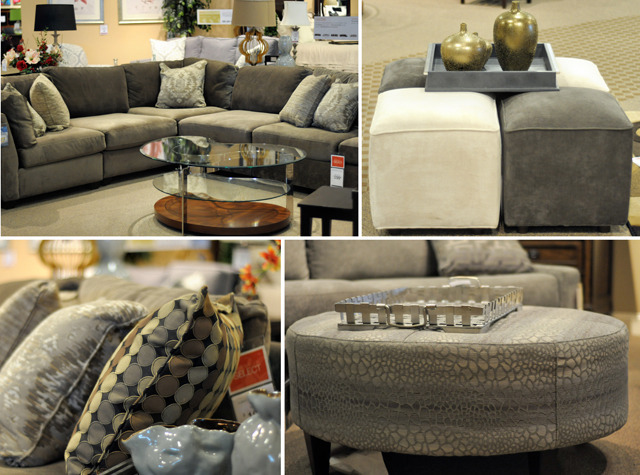 Most sofas will come with a few throw pillows, but don’t shy away from coordinating colorful pillows either. Ottomans can do double duty as a cocktail table (just throw a great tray on top!) and extra seating as well. Office/Transition Room: Sleeper sofas, sleeper chairs and even sleeper ottomans can work wonders for creating sleep space for guests while maintaining a beautiful space the rest of the time. While most guests will stay in a guest bedroom it’s always a good idea to maximize available sleep space when you can! Dining: Work islands are a really great way to get multiple uses out of one piece of furniture. They can be used as a kitchen work space, an eating space, a homework/crafting/gift wrapping space, and some can even be pushed against a wall as a buffet. All that, plus extra storage space – I don’t know what our next kitchen will look like, but I can bet that a work island will be part of it! This is also a great list of other takeaways that I asked about specifically. My mind immediately goes to how I can make a space feel uncluttered and light, and my local Havertys team really hit the nail on the head with these! Use accent chests. The nice thing about these is that you can have several of them and they don’t have to match, but rather have a similar look. My style is more along the lines of “rustic chic,” so having mismatched-but-coordinating chests would work great for me. The chests not only look great, but they house all of the small things we have lying around well – toys, dog stuff, extra blankets and pillows. Storage ottomans. Another storage tip that I know all of us moms (to both humans and furbabies) can understand. Storage is a great thing, and when it makes the entire house look nice that’s even better! A beautiful ottoman certainly trumps a bunch of plastic tubs, and the way I see it an ottoman can also help limit the number of toys around our house too. If it doesn’t fit, we don’t need it! Nesting tables. If you’re like us and are unsure how much space you’ll have in future homes BUT you really want to start investing in nice furniture now, nesting tables are a great way to do that. They are so multi-purpose that you really can’t even imagine what all they can accomplish, but then if there’s not enough space they can just go right under the largest one. Done and done. Bunk beds WITH a trundle. This is more for us in the future since Wes is still sleeping in his crib, but down the line when he’s big enough for a bunk bed (and we have more kiddos) then a bunk bed with a trundle bed is a great way to get a lot of mattress space in smaller rooms. I can’t imagine we’d have three kids to a room, but the trundle would be a great way to make space for friends who spend the night or a mommy who just wants to rest close to her babies. Think light. This is one of those things that I knew subconsciously but just didn’t put words to until Kennon mentioned it. The more natural light you can add to a space the larger it will look. 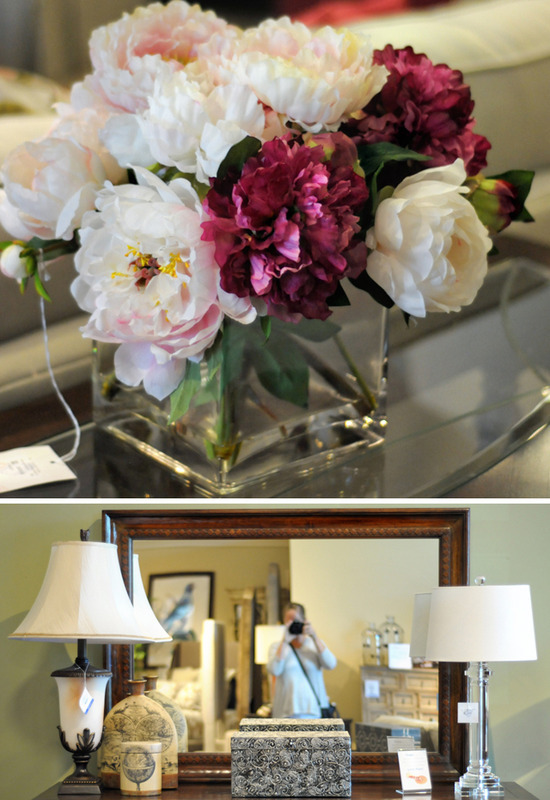 Decorative mirrors are a great way to get something beautiful on the wall as well as accentuate the size of the room. Use your senses. When you live in a home you are experiencing it all with all of your senses (well, except maybe not taste…). Bringing light into the room and having beautiful accents pleases the eyes; soft music is a plus in just about any environment, a soft bed or rugs on the floor offer a treat for our touch, and flowers or air freshener of some kind are perfect for our sense of smell. Thinking in terms of our senses is a great way to see the full scope of a room! Accessories can make or a break it. If all you have is nice furniture but nothing that brings color or texture to the room via accessories it can feel cold and boring. Never underestimate the interest and beauty that can come from some well-placed flowers, baskets or books! I HIGHLY recommend visiting your local store for these workshops! 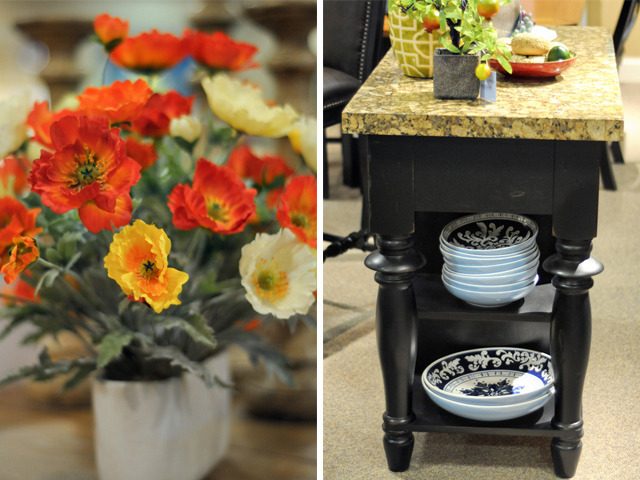 They have several throughout the year that focus on different aspects of the home, but the people in the stores are super knowledgeable about creating a beautiful space. I love that so many ideas for our new house are going to be coming from the lists above and future workshops! Below is the Havertys Home Workshop schedule for 2014. Just call or drop by your local store to sign up!